A project of epic proportions and a tremendous achievement for the Propability history books! Cinderella’s Golden Pumpkin Carriage was re-created as a stand-alone, life-size interactive piece of retailtainment in the Disney Store, Oxford Street. 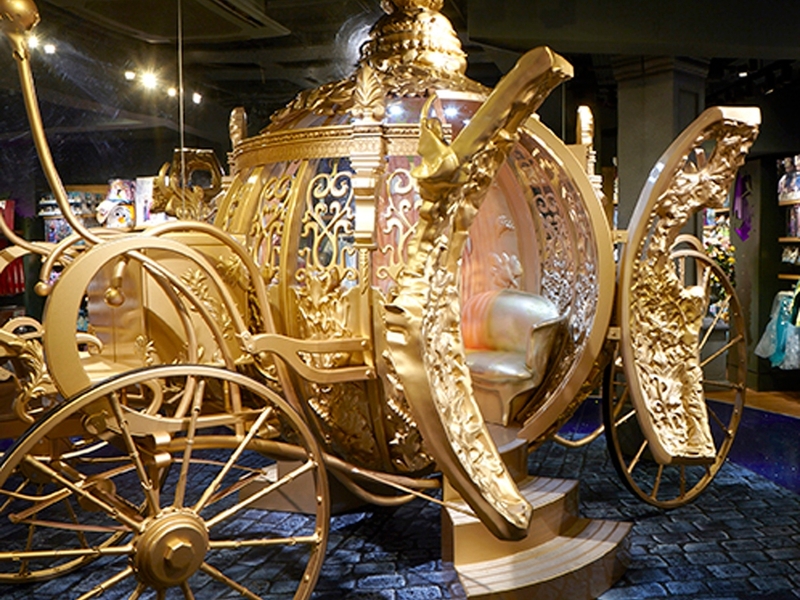 As a long-term highlight feature of the flagship store – Cinderella fans and Disney enthusiasts flocked to interact with the carriage and pose for photos on the golden throne. Constructed from an acrylic dome with MDF ribbed surround, fiberglass casts were mounted onto the centre piece both externally and internally for maximum impact. A sturdy steel undercarriage was added that reflected the design. All beautifully finished in gold with a high gloss lacquer, the walk through feature creates an interactive element to the store with guests stepping into the carriage and walking out through the pumpkin! The intricacy of the design and detail required to manufacture the piece was immense. Safe enough to stand up to huge footfalls of traffic, durable as a long-term store fixture and impressive as a visual attraction. 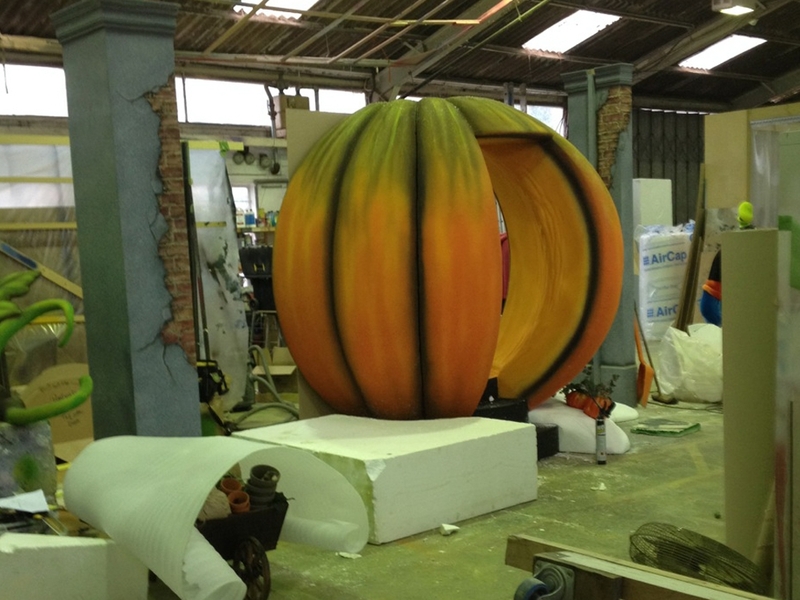 Propability also came up with an in-store solution to emphasise the impact of the piece – in store a mirror wall was constructed to ensure that regardless of which direction you view the Golden Pumpkin Carriage from, you see either a complete carriage or a complete pumpkin for optimum effect. The Carriage was posted on the Disney Face Book page to huge acclaim – within hours the response was overwhelming! "How long is it there for? Defo think it should do a UK tour as my girls would love to see it!!!" "Bring this to Belfast plesssseeeee???" "Me and my little princess's would love this J please think of Belfast :-)"
"Wish it would come to the Glasgow store!!" "Oh please bring it to the Trafford Centre in Manchester store!!! There's loads of space outside in the mall for it!!"